A Project Template is a pre-built collection of screens, masters, and widgets that you can use a starting point when creating new projects in iRise. To create your own Project Template, start by creating a new project. Once complete, move your project to the 'Project Templates' folder in Definition Center. 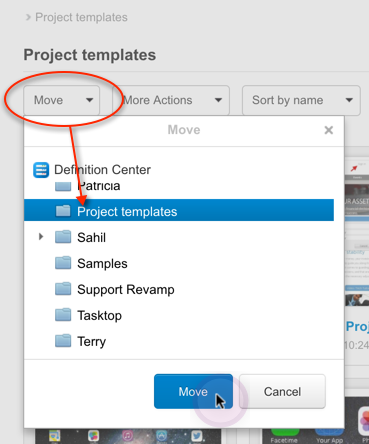 To do this, navigate to the folder where your project is located, click the checkbox next to the project, then click the Move button and select the Project templates folder. Make sure you share the project with anyone else that needs access. To give others access to use your Project Templates, add them as Reviewers. To collaborate with others on the template, add them as Editors.